Have you ever been to a place that represents life in its true sense? Where everything ends and yet somehow it gives hope to a new beginning. Have you ever seen a ghost town? If not, then let me tell you about Dhanushkodi. 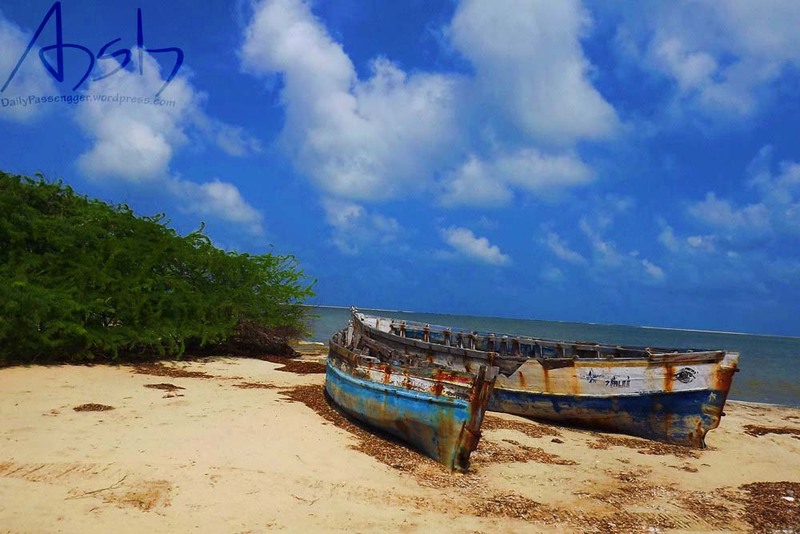 A small village located near Rameshwaram that marks the last Indian landmass. 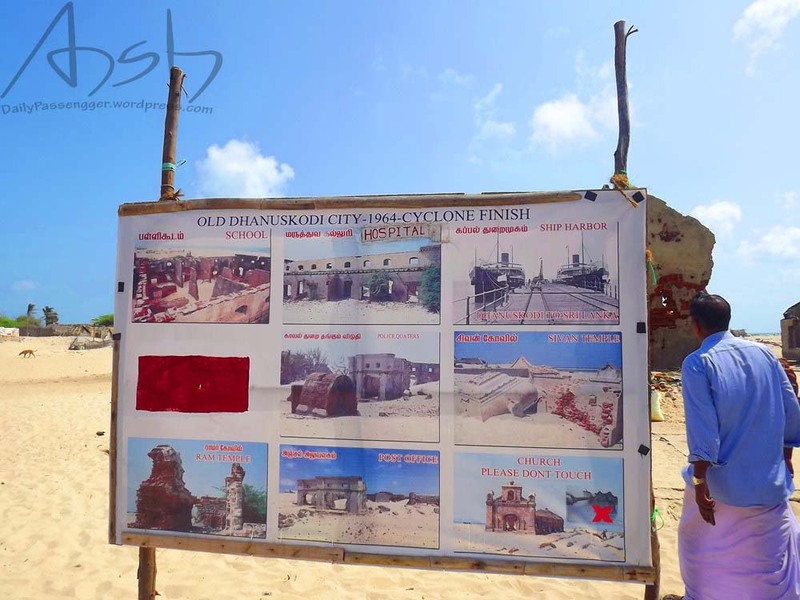 Dhanushkodi was hit by a cyclone in 1964 and now stands as a place lost in stories and time. The cyclone destroyed everything here, even the railway line that used to connect this place to Pamban and further, killing 115 passengers. 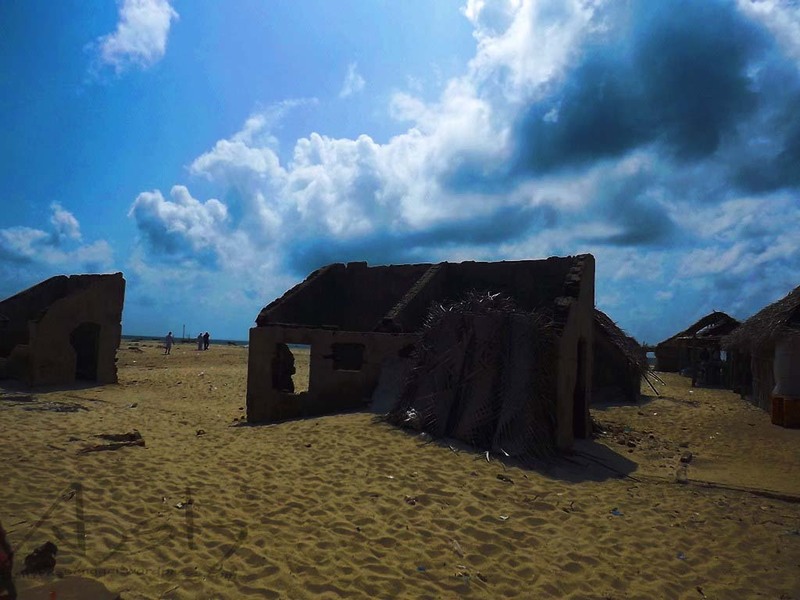 You can arrive here from Rameshwaram via bus which will drop you at the Dhanushkodi beach. This beach is not a place where you want to be. From here small tempos that take 100 bucks for a two way transfer can be hired that will take you on a tour of Dhanushkodi. The memories of this small village remain in the form of broken houses, a church and a railway line that is no longer used. You can see Adam’s bridge at a corner and Sri Lanka’s landmass is at proximity. It is believed that the 28 km bridge once connected the Pamban island to Talaimannar in Mannar Island, Sri Lanka. 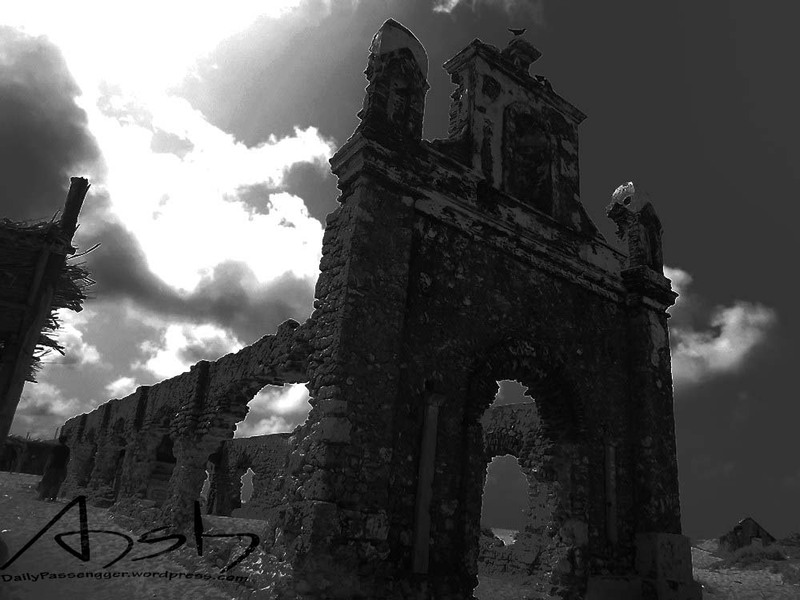 Dhanushkodi is the proof that life never stops. Staying at night is not allowed here but you can still see fishermen and their boats exploring the ocean in search of fresh catch. Life continues as everything else ends and then something begins. At a distance from Dhanushkodi you can see the confluence point of the Arabian Sea and the Indian ocean, but this can only be seen between March and July (Warning: You may die of the extreme heat at that time). The place is a must for solo travelers and backpackers. Traveling is not only about celebrating life and new beginnings but preparing for end too. 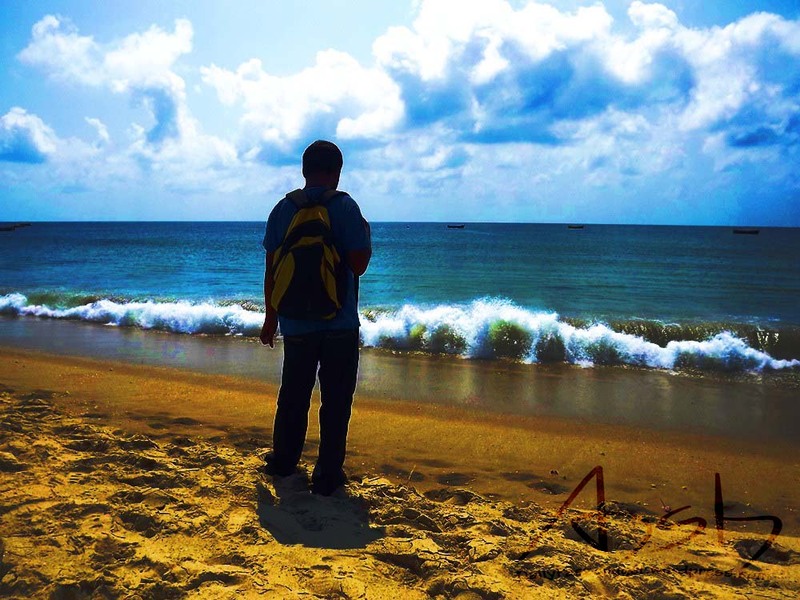 A story ends and a new begins, I left Dhanushkodi that evening in search of my new destination. 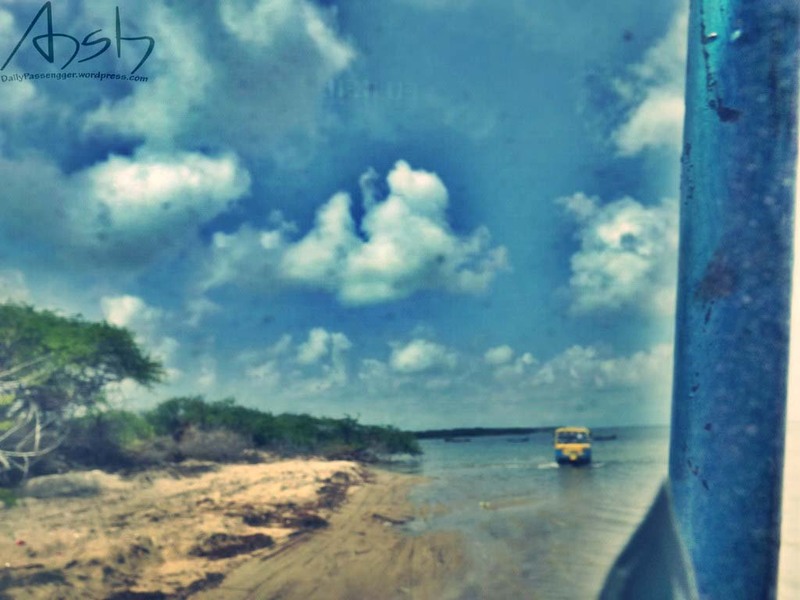 How to Reach Dhanushkodi – Buses ply to Rameshwaram from Chennai, Madurai and Bangalore on frequent bases. A deluxe bus costs between 500 to 600 rs. 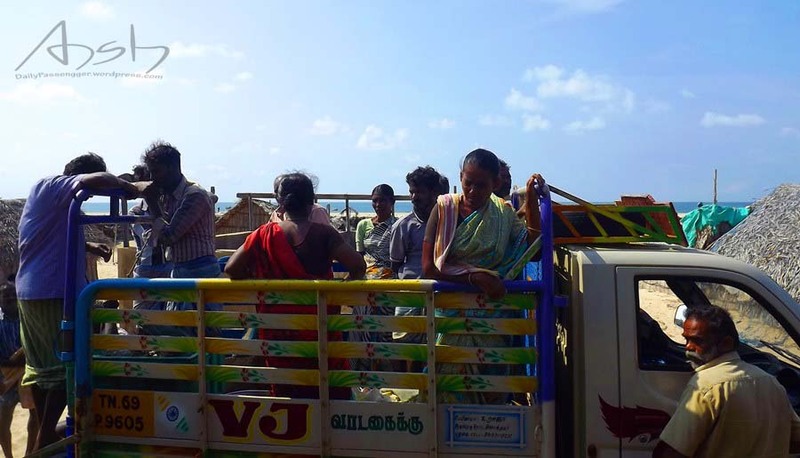 From Rameshwaram there are frequent buses to Dhanushodi beach at every 30 minutes. After you reach Dhanushkodi beach you’ll find small tempos that will charge 100 rs per person and will take you to Dhanushkodi island. Note 1 – Tempo travelers give you a time of 30 to 45 minutes depending on number of people traveling in yIour group. If you want to spend more time then you can hire jeeps from Rameshwaram that charge 600 rs for both side ride. 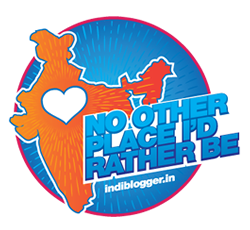 Note 2 – Rameshwaram is one of the hottest places in India. Keep sipping water, coconut water and badam milk to prevent dehydration and exhaustion. Note 3 – People in Rameshwaram will tell you that without doing puja in main temple your visit will not be complete. Until unless you are highly religious only then you should pay your offerings in the temple. Where to stay – There are cheap lodges in Rameshwaram and prices vary between 60 rs to 150 rs for a night stay. Beautiful pictures. 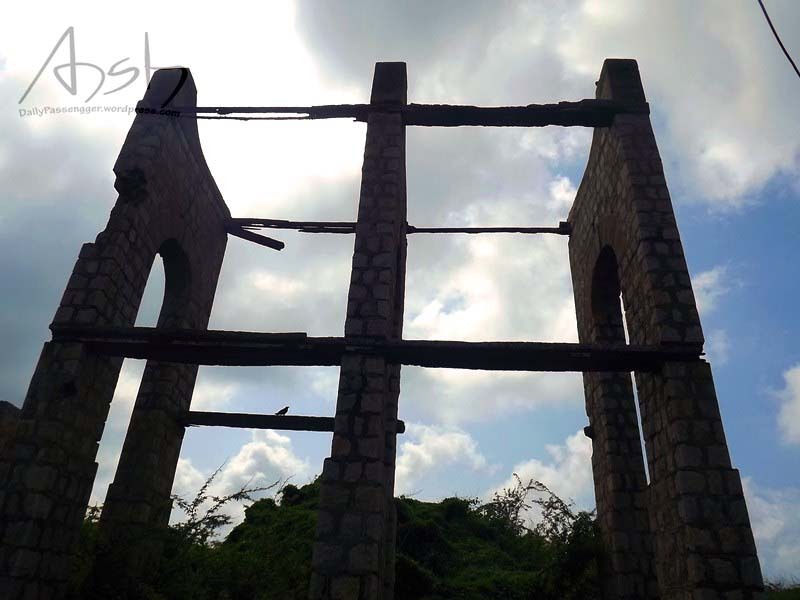 What’s the story with it being called a Ghost Town…doesn’t seem to be just because of Cyclone and people killed there? Ghost town as in empty town. No one lives here except for a few fishermen who return by late evening. That’s a great post! I loved it when you said, life ends to begin again..so true! Last year, we had planned a trip but it dint work out but reading this post, i want to plan that trip all over again! Enjoyed well, got a perfect answer from your blog.